NEW YORK--(BUSINESS WIRE)--Talk about a Prime location! 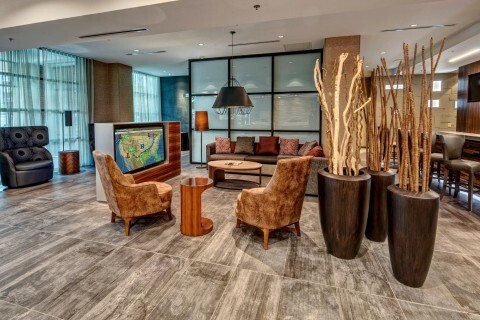 MCR, the sixth-largest hotel owner-operator in the United States, has opened the 187-room Courtyard by Marriott Dulles Airport Herndon. Five miles from Washington Dulles International Airport (IAD), the brand new, six-story hotel is located in the technology corridor dubbed “the Silicon Valley of the East.” Northern Virginia has the second-largest concentration of technology jobs in any major market, serving eight Fortune 500 companies and Defense Department contracts. Home to more than 10 million square feet of data centers, Herndon, Virginia hosts 70% of the world’s internet traffic each day. 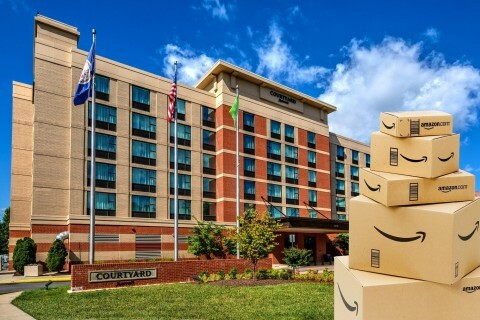 As a result, the city is the frontrunner for Amazon.com’s second headquarters — an 8 million square foot campus for 50,000 employees. Sports oddsmaker Bovada recently pegged Northern Virginia as the winner. It’s not just data moving fast through the Dulles Tech Corridor: by 2020 the Washington Metro Silver Line will connect Herndon with IAD. 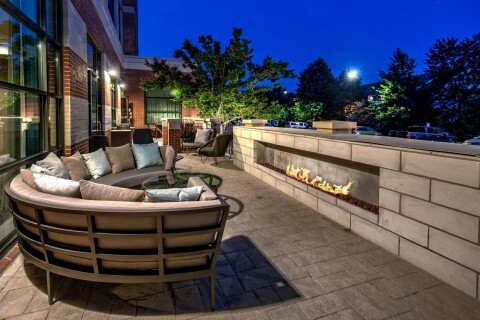 Reserve rooms by phone at (571) 643-0950 or online at www.marriott.com.